How to activate a WLAN and AllShare of Samsung Galaxy S2, S3, S4? The tutorial mainly shows how to activate a WLAN and AllShare of Samung Galaxy S smartphones(like: Galaxy S2, S3, S4) to help you stream videos and movies between DLNA-enabled devices as you wish. 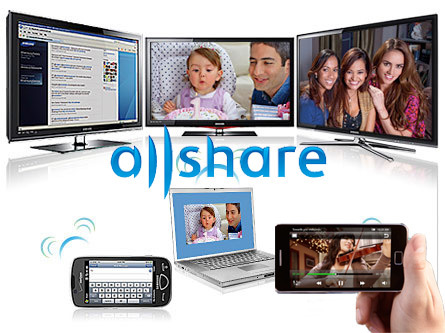 Want to learn how to use the AllShare service of Samsung Galaxy S II(2) to help you share media files between the Android mobile phone and other DLNA-certified devices in your home over a WLAN? 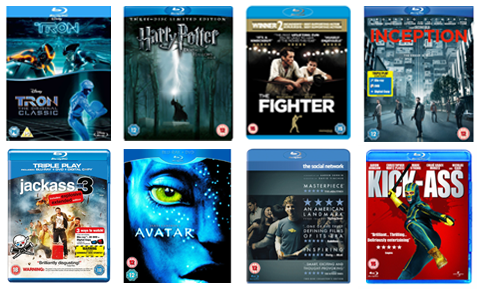 To make it easier and faster to steam videos and music between DLNA-enabled devices, you'd better make sure the movie or music files you want to stream are in the range of the DLNA supported video and audio formats here: Audio LPCM AAC, AC-3, ATRAC 3plus, MP3, WMA9, AV MPEG2 MPEG-1, MPEG-4*, AVC, WMV9. How to use Samsung Galaxy S2(or S3 and S4)? To start, you should activate the WLAN feature and add a WLAN profile on the Samsung Galaxy S2. The following tips must do a great favor for you. 1. How to activate the WLAN feature? In Idle mode, open the application list and select Settings > Wireless and network > Wi-Fi settings > Wi-Fi. 2. How to Find and connect to a WLAN? 1. In Idle mode, open the application list and select Settings > Wireless and network > Wi-Fi settings. 2. Select a network under Wi-Fi networks. 3. Enter a password for the network (if necessary). 1. In Idle mode, open the application list and select AllShare. Device name - Enter a name for your device as a media server. Share video - Turn on video sharing with other DLNA-enabled devices. Share picture - Turn on image sharing with other DLNA-enabled devices. Share audio - Turn on music sharing with other DLNA-enabled devices. Upload from other devices - Set whether or not to accept the upload from other devices. Default memory - Select the default memory location for saving downloaded media files. Subtitles - Set to display subtitles. Guide 1: How to Play your files on another DLNA-enabled device? In Idle mode, open the application list and select AllShare. Select a media category and a file. Control playback using icons of your device. Guide 2: How to Play files of one device on the other device? Select a device as the media server—the one that contains media files. That's all! Hope the tutorial of using AllShare of Samsung Galaxy S2/S3/S4 helps!